Gallagher Smash! 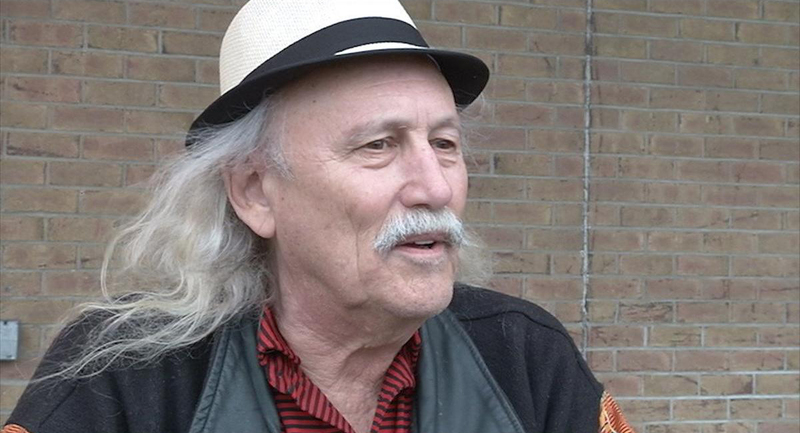 – Gallagher Smash! Do you want an unforgettable wedding? 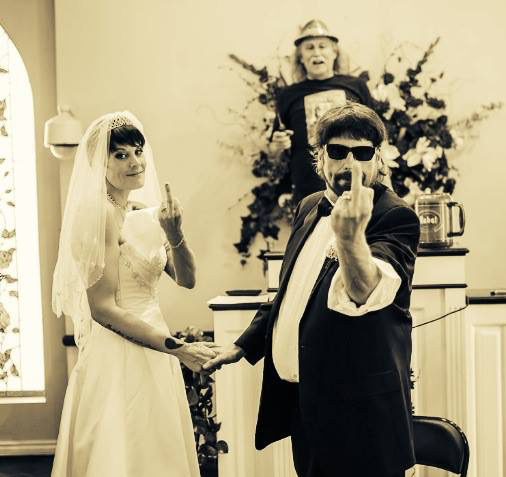 Gallagher can officiate your wedding with a personalized ceremony that is sure to be memorable and unique. 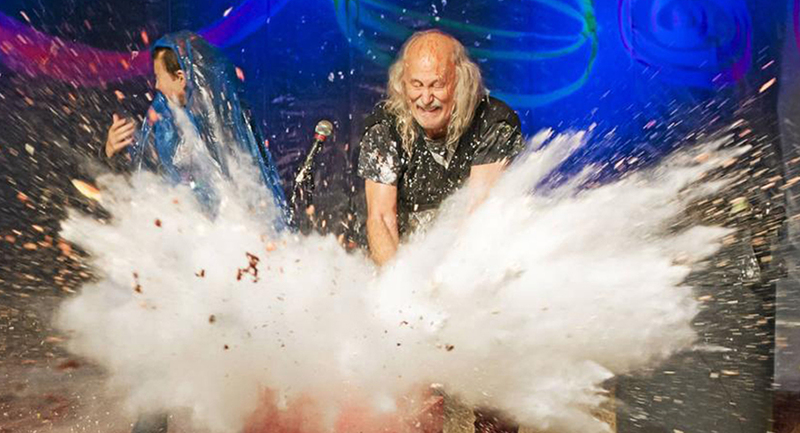 Smashing cake in each other’s face is not nearly as cool as having Gallagher smash the cake! 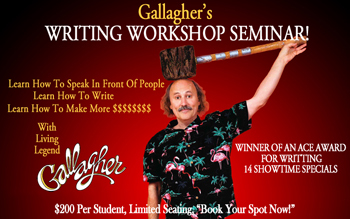 Join Living Legend Gallagher, a Winner of an ACE Award for writing 14 Show Time Specials, and learn his secrets on speaking, writing and making more money. Learn from a master. Throughout the years we have had several videos made. 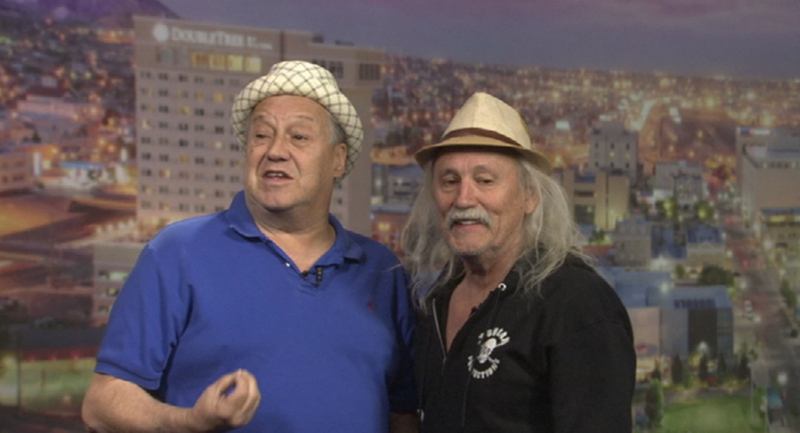 We have done TV and Radio as well as videos from our shows. Click the link to view more of our entertainment. WIN…. your share of $1,000.00 + Instant Fame! 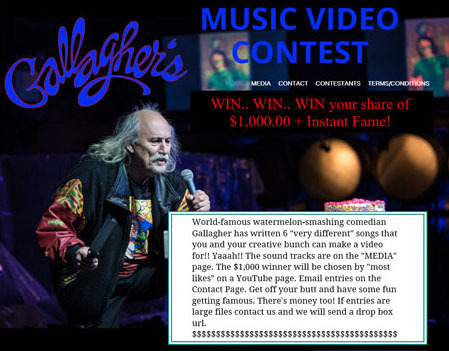 World-famous watermelon-smashing comedian Gallagher has written 6 “very different” songs that you and your creative bunch can make a video for!! Click the image or button below to check out the website to learn more! View our tour dates for our upcoming events and attractions. 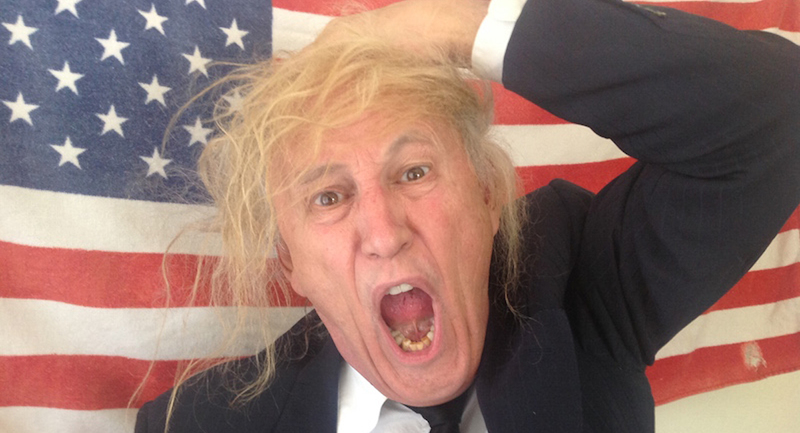 Check out my latest blog Poem entries here. Check out my latest gallery of images here. Look out though you may catch yourself in the mix. 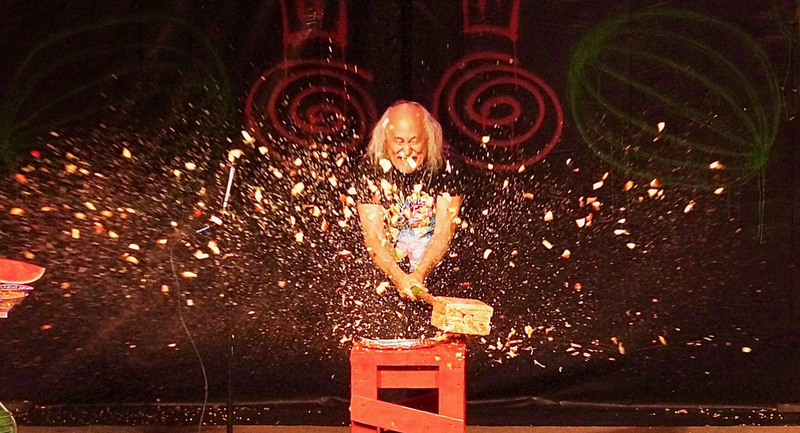 Thank you to Mad Hatter Shows for you ticket donations and arranging additional tickets for us to buy. 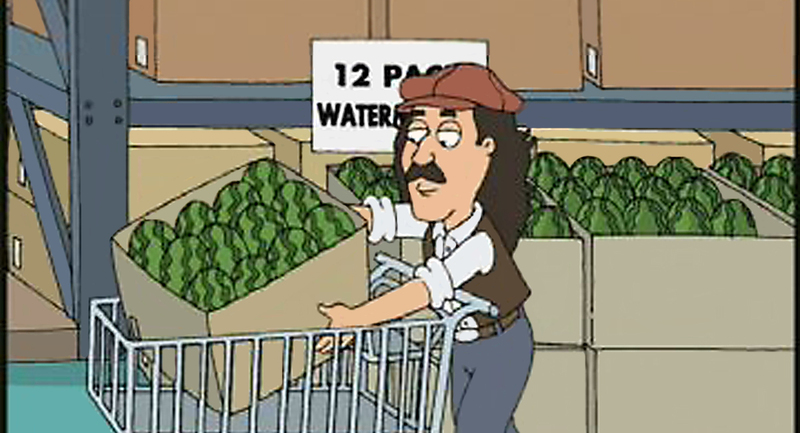 I love Gallagher. His television show were great childhood memories. So gald I got to see him in person. 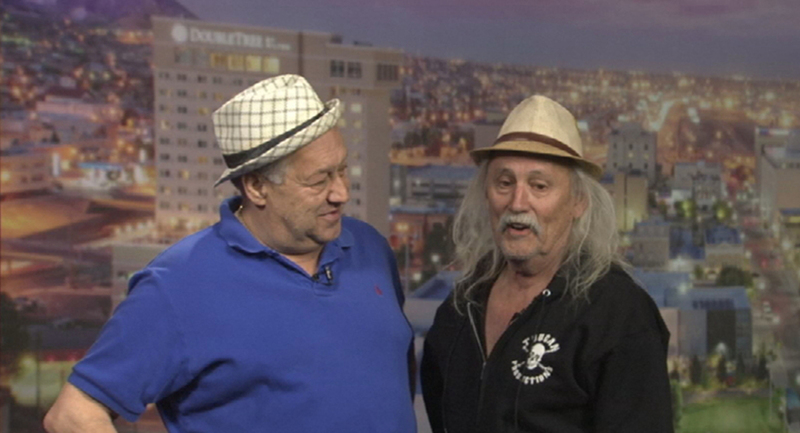 Big shout out to Mad Hatter Shows, Gallagher, and Artie for an Amazing barrel of laughs comedy show. It was a packed house for the Legend. Thank you Mad Hatter Shows for providing tickets to 2 Army Veterans and 2 current soldiers. OMG That was the funniest show I have seen in a long time. No I did not sit front and center and got messy. LOL But thank you so much to witness this childhood icon. Gallagher was friendly and approachable befor the show. His routine was laugh out loud comedy from beginning to end. I loved his underwear bra and stars and stripes swim suit. 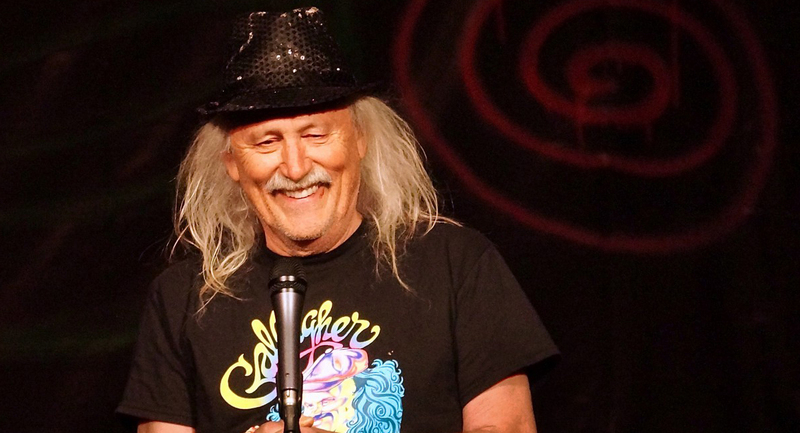 He engaged with the audience like we were hanging with him in his living room. The flinging of the chocolate was an awesome surprise. Can you imagine, he actually got people to go up on stage with him? Time flew by. I could not believe he was entertaining us for 2 and a half hours. If you happen to read this Leo Gallagher, Thanks for the spoon forks! 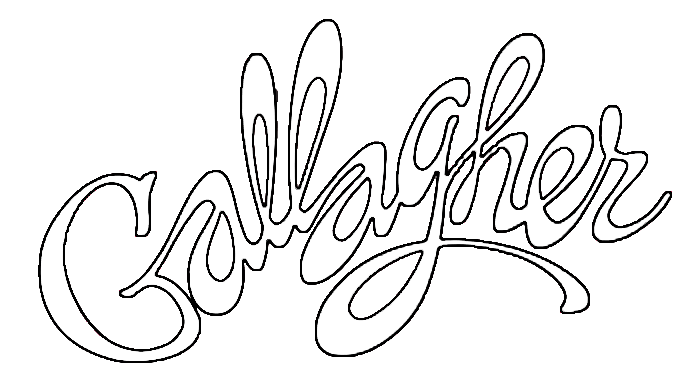 Gallagher is always an excellent show and the River City Casino is the number one casino in the St Louis Missouri area, we have been there for six shows and never been disappointed. I was laughing all the time - kept you on the edge of your seat - not knowing what was coming next. 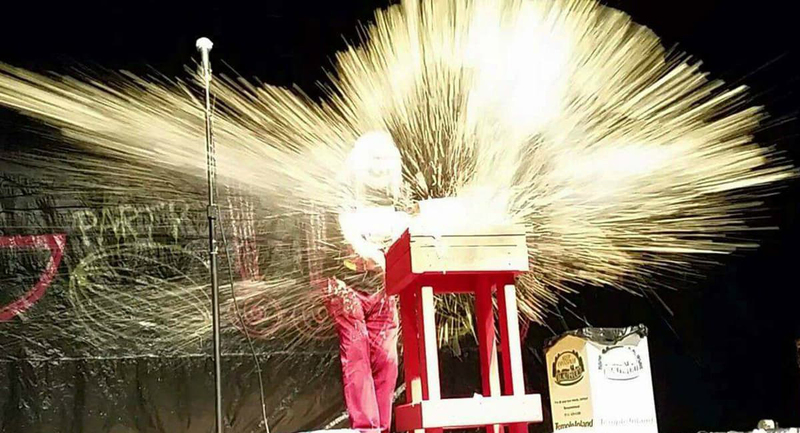 Got to go up on stage for an intense splatter and also got to hit a watermelon. Great show!